Michael Flynn and other advisers to Donald Trump’s campaign were in contact with Russian officials and others with Kremlin ties in at least 18 calls and e-mails during the last seven months of the 2016 presidential race, current and former U.S. officials familiar with the exchanges told Reuters. The US Justice Department said on Wednesday it had appointed former FBI Director Robert Mueller as special counsel to investigate alleged Russian meddling in the U.S. presidential campaign and possible collusion between Trump’s campaign and Russia. Mueller will now take charge of the FBI investigation that began last July. Trump and his aides have repeatedly denied any collusion with Russia. 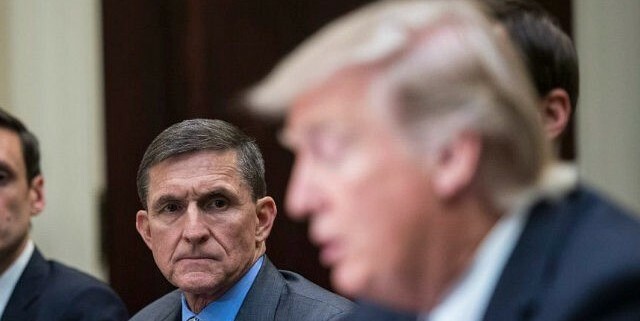 Trump fired Flynn in February after it became clear that he had falsely characterized the nature of phone conversations with Kislyak in late December — after the Nov. 8 election and just after the Obama administration announced new sanctions on Russia. Flynn offered to testify to Congress in return for immunity from prosecution but his offer was turned down by the House intelligence committee.